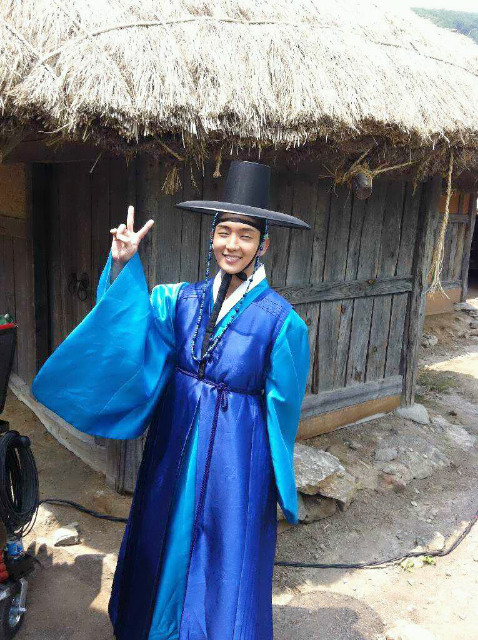 MBC has released the first BTS stills of its upcoming drama, Arang and the Magistrate. The stills are from episode 1, when Arang and the magistrate, Kim Eun Oh, meet for the first time. Apparently we are going to see Arang on rooftops a lot. Poor Shin Mina. Also pictured is Lee Junki with actor Kwon Oh Joong who plays Eun Oh’s manservant. 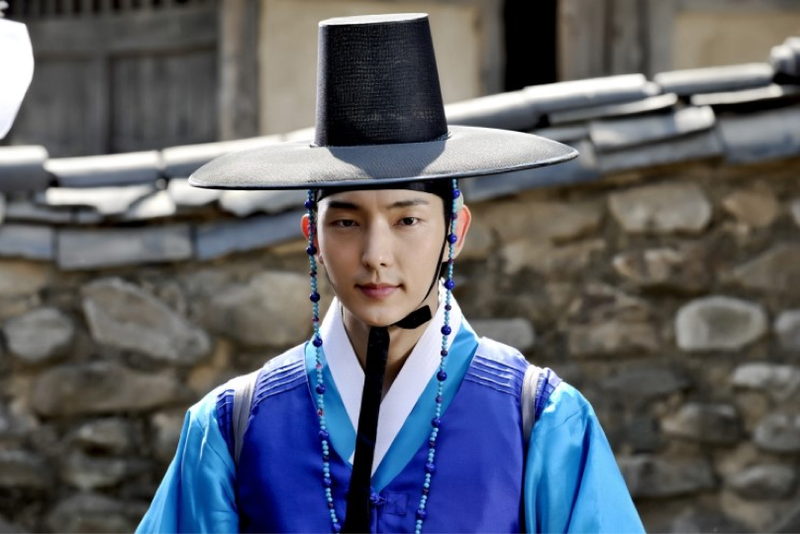 Reports say that Lee Junki is the mood maker on set, making everyone laugh. He certainly does look bright. He uploaded the picture below onto his twitter. 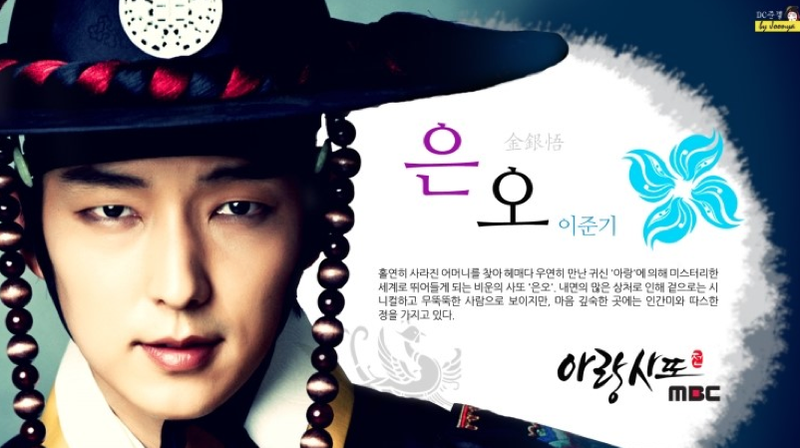 These are the character descriptions for Eun Oh and Arang. 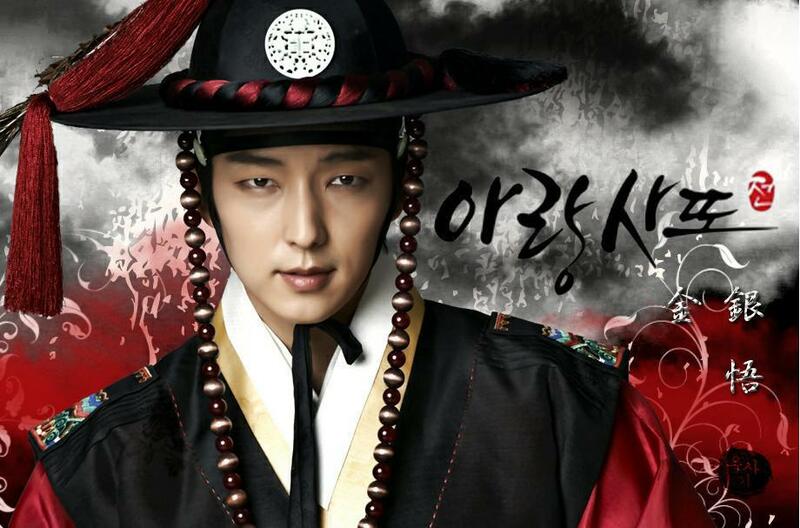 Eun Oh is plunged into a mysterious world upon meeting Arang while searching for his mother who suddenly disappeared. He has a lot of scars inside so while he appears cynical and cold on the outside, deep in his heart he is a warm person. Arang is a scatterbrained ghost who is trying to reveal the truth behind her unjust death. She is different from the usual ghost characters. She is very energetic, cynical, and rough. She does want she wants to do. But all this is very lovable. The character descriptions sound pretty typical but I look forward to the story and how these character types play out in this weird situation. It seems like Arang will provide a lot of the comedy. I’m glad the drama isn’t going to be too serious. Hi Joonni, some questions popped up in my brain and i need brief explanation on it. 1. Do you notice the symbol next to their names? Does it have certain meaning or it’s just some decoration? 2. 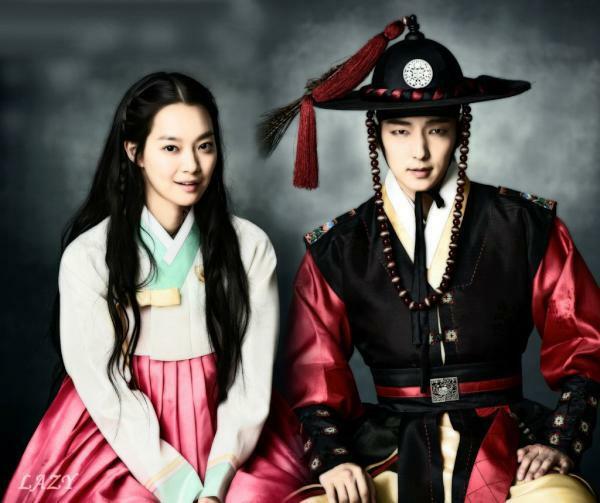 May I know Lee Jun Ki and Shin Min Ah twitter? This drama looks promising, I hope I can watch it live when it airs (although i don’t understand korean yet). They look like flowers but I don’t know. I can’t identify them. I don’t think Shin Mina has one. Thank you for the twitter. l’m actually not fan of both even LJK is extremely cute and SMN, as always, very pretty. However, let’s see the drama first, who knows that l’ll fall in love with them as l’m stupidly crazy in love with that two lovebirds from Queen In Hyun’s man. YIN and JHW not as famous as this two LJK and SMN but they’ve taken away outnumbered fans out there. Hope this drama will be one ‘a must watch’ for me since after QIHM ended, l only have BIG, others drama airing now are just not for me. So Jooni, keep up your good work, l’ll check any your new post twice a day. Really like your blog and to know that you really passionate for QIHM like l am. She looks carefree and troubled also cool and pretty. I can tell I will like her character the most. Not a fans of LJK, I hope his character is not the usual cold namja. Thanks for these, too. Haven’t seen some of them anywhere. To those who do not love LJK, I think if you watch him in a serious-er role than My Girl, Iljimae or Heroes, you will understand everyone’s deep affection for this actor. Completely agree with you regarding LJK. I know i should not ask – but is it possible to have the header of LJK from TBDW made by Imma here? Would love to see that…. I agree on Shin Mina. Those who only know her from Gumiho miss that there is a lot more to her than adorable. Her film work was more varied. For me, the best LJK project was “Virgin Snow” – I fell completely under his spell in that one. He was adorable and Aoi Miyazaki was breathtakingly beautiful. Can’t wait to see this! Thanks Joonni! me too, can’t think and watch about another drama but QIM. Everyday, I’m watching QIM again, searching informantion Inhuyn Couple. QIM made me crazy and chaos….. I love how Shin Mina looks on the roof. Junki’s mother would be much older by the time of her disappearance than the age of Shin Mina’s ghost character so I don’t think we have to fear that.